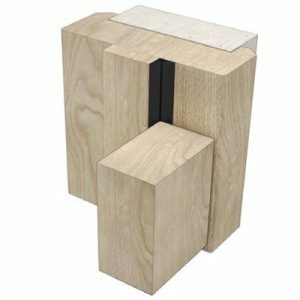 A versatile threshold seal combination with hidden fixings and options to suit virtually all hinged and pivoted doors. 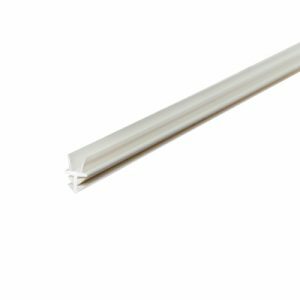 The Cyclone threshold and contact strip combinations can be used in most internal and external situations, including those with a high degree of exposure requiring weather tight seals. The Cyclone threshold and weatherboard combinations can only be used on inward opening external doors that are sheltered from wind driven rain. 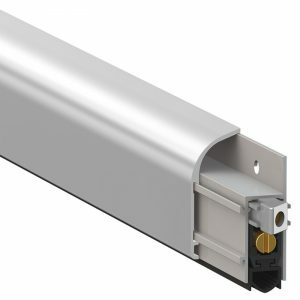 With the contact strip combinations, the Cyclone can be used on external doors to comply with Part M of the Building Regulations to allow ease of access. 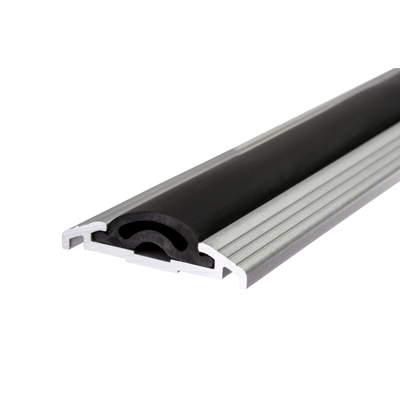 It can also be used with the Blizzard seal and other Sealmaster stop seals to achieve an exceptional acoustic performance. 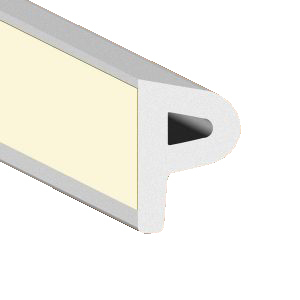 All fixings, in all the sections, are hidden to give clean, crisp lines in an attractive range of finishes. The Cyclone threshold section is available in two low profile versions, one being symmetrical for application on top of carpet or vinyl floor finishes (section TE), the other has a flat face against which carpet or vinyl can be finished neatly (section TD). Specialist applications include rooms with a gas flood fire suppression system installed. Studio and music room doors, as well as interview rooms, where a high level of acoustic performance is required and photographic dark rooms where a light, tight seal is needed.